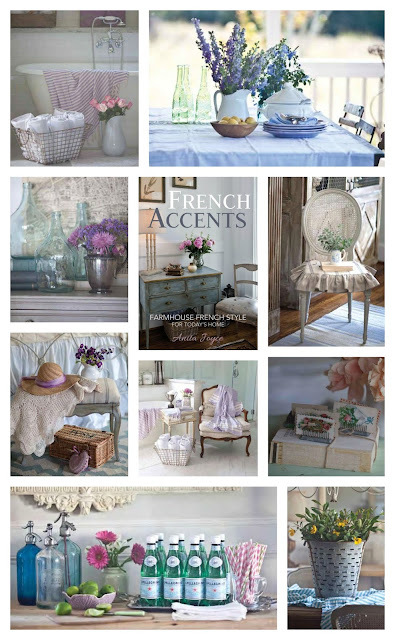 Don't you just love the beauty and romance of French decor? It's so dreamy and elegant. 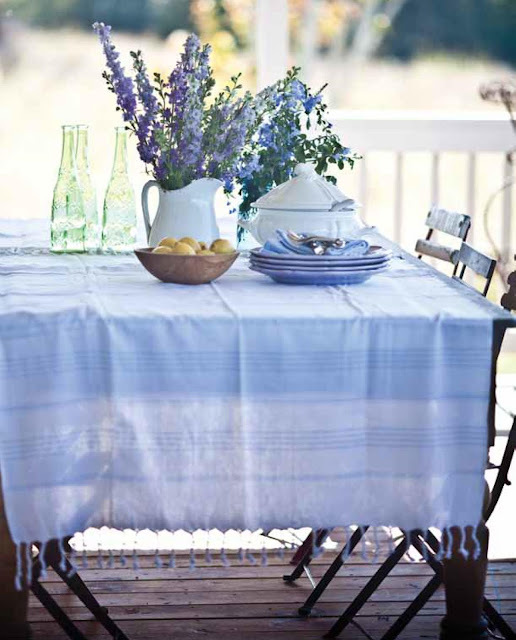 The flowers, the linens, furniture with amazing character, and soft, hazy colors are something to behold. 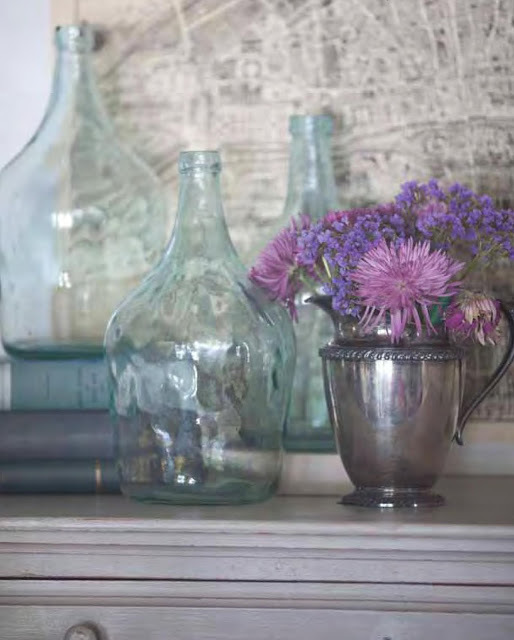 If you want to get some wonderful inspiration and great ideas for adding touches of it to your home, then you'll want to see what my friend Anita at Cedar Hill Farmhouse has to say about it. She's an expert with years of experience, a photographic background, and a French farmhouse in Texas that will make you swoon. And she's just written a book about it that's being released today! I'm so thrilled that Anita sent me a preview copy to read and review. The book is everything I hoped it would be. I've always loved Anita's blog, Cedar Hill Farmhouse. You likely have seen it or have pinned images of it to your "dream house" board on pinterest. Her photography is stunning and this is one of those books that I'll be leaving out on the coffee table so I can browse through it and be inspired on a regular basis. 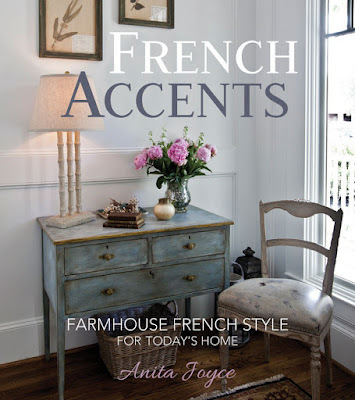 In her brand new book, French Accents, Anita shares tons of tips for creating the French farmhouse look in your own home. Included are her 20 of her best decorating guidelines such as only buying things you love, don't fear mistakes, and more. My favorite one is to create your own style. 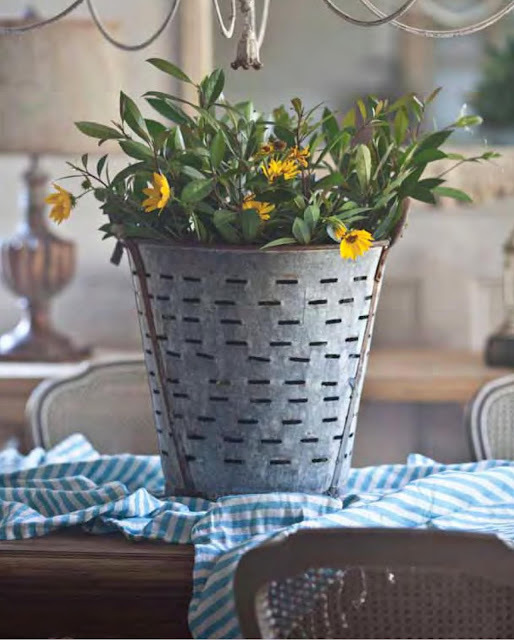 Anita also gives you a go-to list of 19 decorating elements for creating a French farmhouse including chairs, chandeliers, baskets, and more. She then goes through the house room by room and gives tips for making it fit the style. Also included are tips for shopping at auctions, Craig's list, antique stores, thrift stores, and several other places where you might find French decor. Love antiques? Anita shares her secrets for finding the best ones. And she also gives tips for tablescapes and entertaining, and shares the sources for much of her decor. To get an even better sneak peek and purchase the book, simply click on the image below and click on the "Look inside" option. (affiliate link). 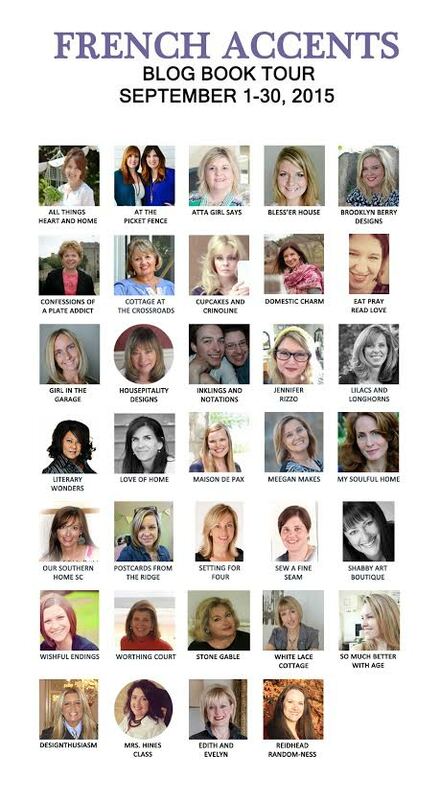 I'm honored to be a part of the blog book tour for Anita. She's such a lovely, talented, and smart lady and I'm happy to help introduce this gorgeous book to you. I hope you take a peek at the book. But be warned...you're going to fall in love with it like I did! Thanks for dropping by and learning more about French Accents. Thank you Angie!! Wow, I'm so honored and humbled by your lovely review. You're welcome, Anita! Thanks for letting me review your book!